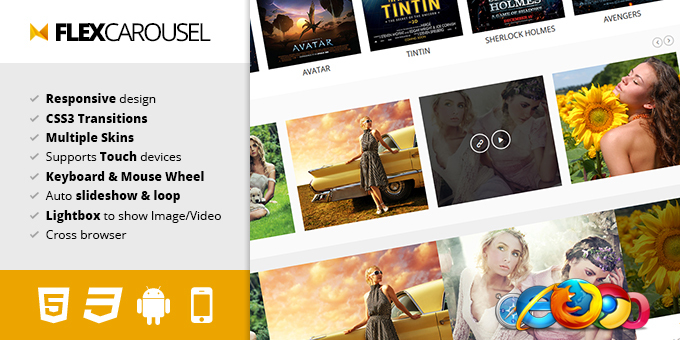 Flex Carousel is a jQuery plugin with rich set of features. It is responsive, touch-enabled, fast and smooth. It can be easily integrated into your own web projects. You can customize the visual appearance of the plugin by creating your own skin or using built-in skins/templates.